Radiology department. 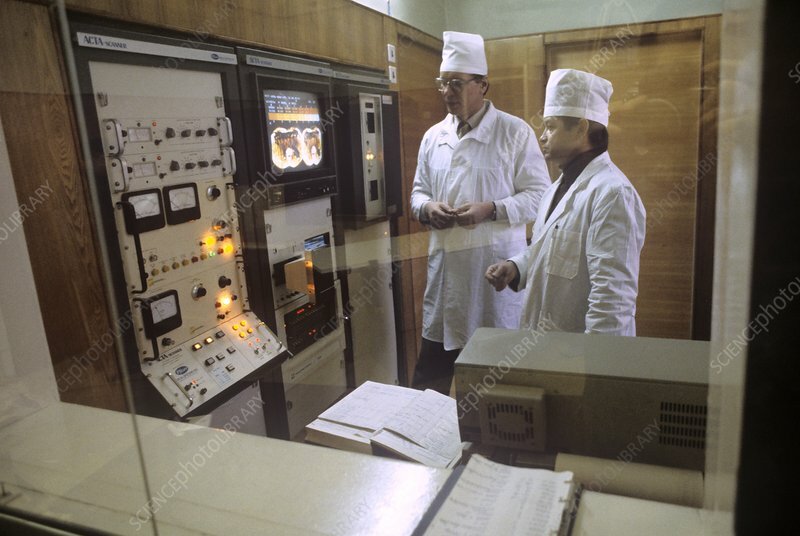 Doctors in the computed tomography (CT) scanning department of the Central Tuberculosis Scientific Research Institute, Moscow, Russia. Photographed in 1985.